Ireland towns and villages include sandy beaches, archeological sites, hilly streets, and Irish castles dating back centuries. One thing they all have in common is a slew of friendly pubs where weary travelers can rest their feet and enjoy a meal! You really can’t go wrong, but there are some that stand out on travelers’ lists. >ALSO: Check out my Ultimate Guide to Kilkenny and my guide to Dublin airport security and Customs. >Make sure to check out the NEW video from my road trip on the Ring of Kerry. It’s under the Dingle section below! 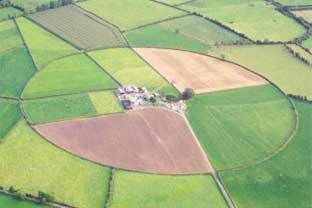 Located in County Limerick, the village of Adare (shown in the photo above) was founded on the River Maire in the 13th century. 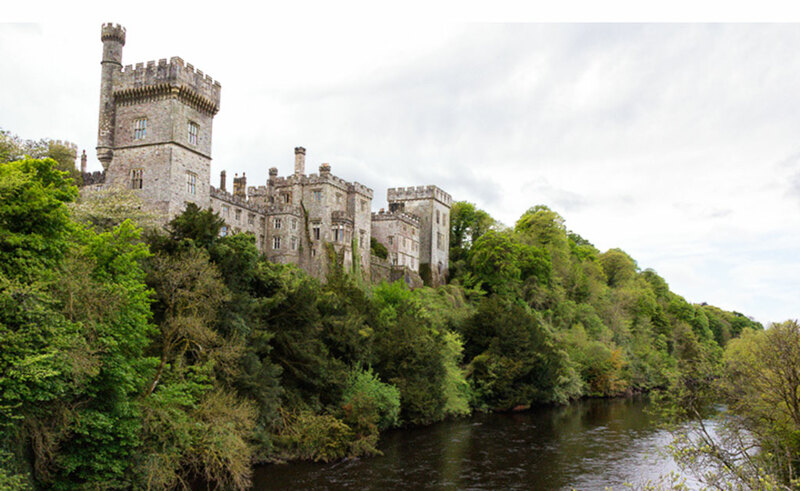 Tourist attractions include Desmond Castle, a Franciscan Friary, ruins, thatched cottages, and a pretty park. It’s 15 minutes from Limerick City. 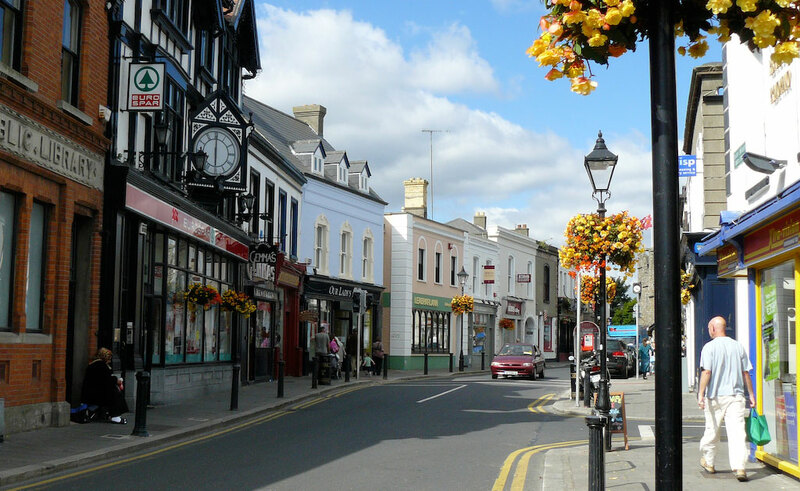 >>Check out hotels and B&Bs in Adare! 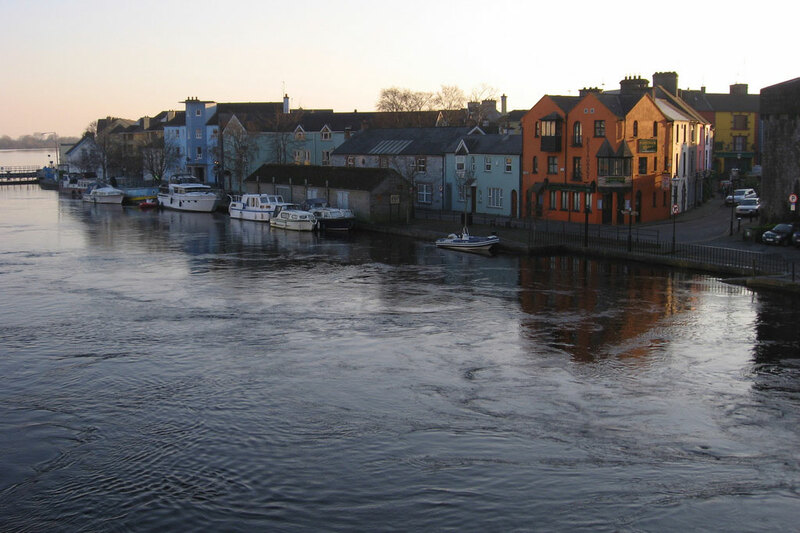 The castle of Athlone is beautiful and the town, which is located on the River Shannon in County Westmeathe, has many houses painted in bright colors, as well as boutiques and restaurants. 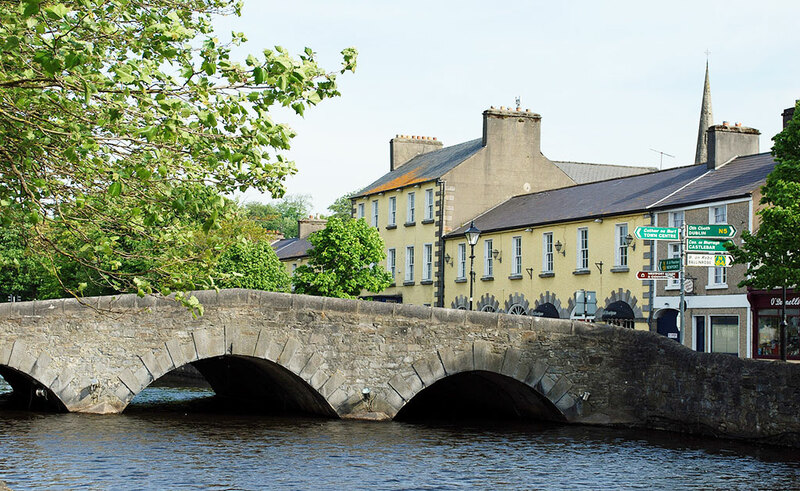 > Check out hotels & B&Bs in Athlone! 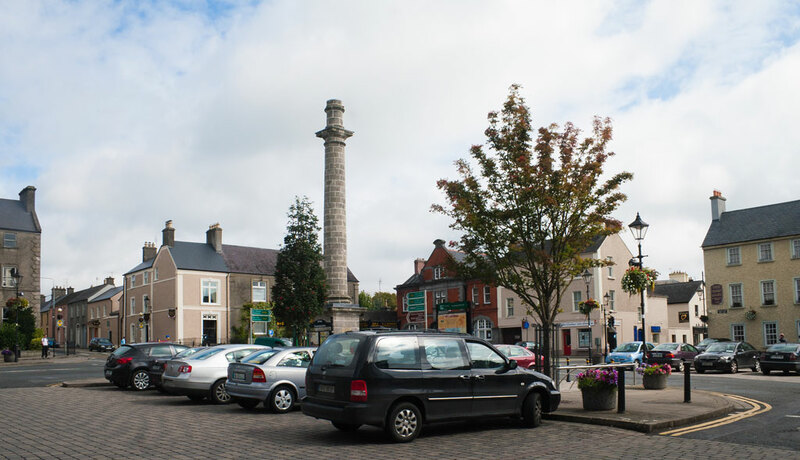 This County Offaly town is one of the best Georgian towns in the country. It has wide streets, pretty Emmet Square, and John’s Hall, which looks like a Greek temple. The Parsons family still lives in Birr Castle, where you can tour the house and gardens. There is also a monastery and the Leviathan of Parsonstown, an old telescope that was the biggest in the world until the early 20th century. > Check out hotels and B&Bs in Birr! The town of Carlingford in County Louth includes Medieval streets, the Church of the Holy Trinity from that era, and the Thosel, or “town gate,” which is one of the remaining few in the country. The views are incredible and the fishing trade is very active; crabs and oysters are in abundant supply and there is an annual oyster festival. 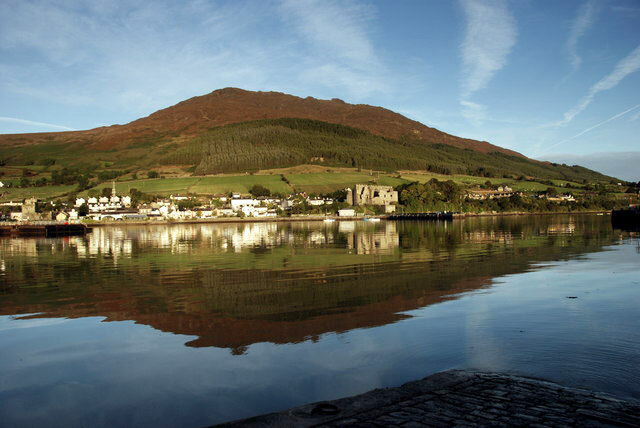 >>Check out hotels and B&Bs in Carlingford! The town of Cobh is on the southern shore of Ireland, in County Cork. It’s an important harbor, and millions of emigrants have sailed from it; it was also the Titanic’s final destination. Local attractions include a wildlife park, St. Coleman’s Cathedral with 47 bells, Barryscourt Castle, and the brightly colored houses and hilly streets. 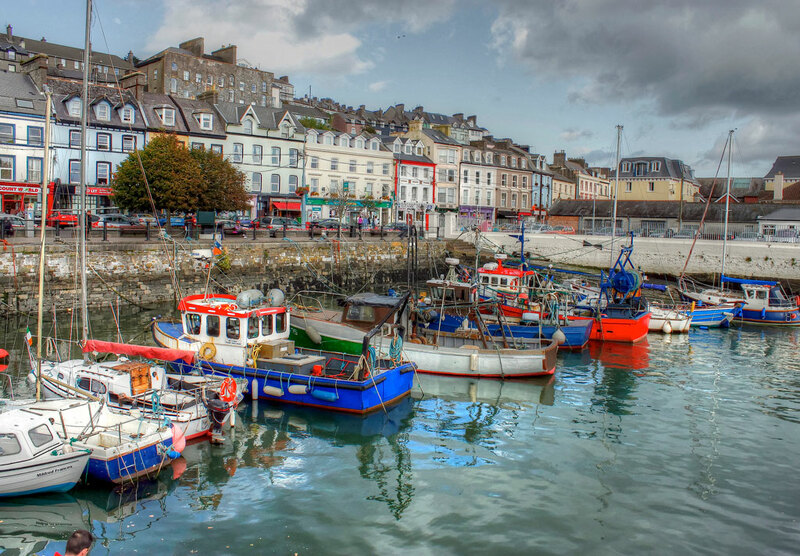 >>Check out hotels and B&Bs in Cobh! The seaside village of Dalkey is south of Dublin in County Dublin, and includes Dalkey Castle (where “living history” actors work to entertain tourists), mountaintops with panoramic views of the sea, great beaches, and nice restaurants. There are guided literary walks, where they will bring you to settings from works by James Joyce, George Bernard Shaw, and more. >>Check out hotels and B&Bs in Dalkey! The medieval town of Dingle in County Kerry sits on a hilltop overlooking a harbor full of colorful fishing boats. There’s a historic church, diners, and some pubs, as well as the Dingle lighthouse. 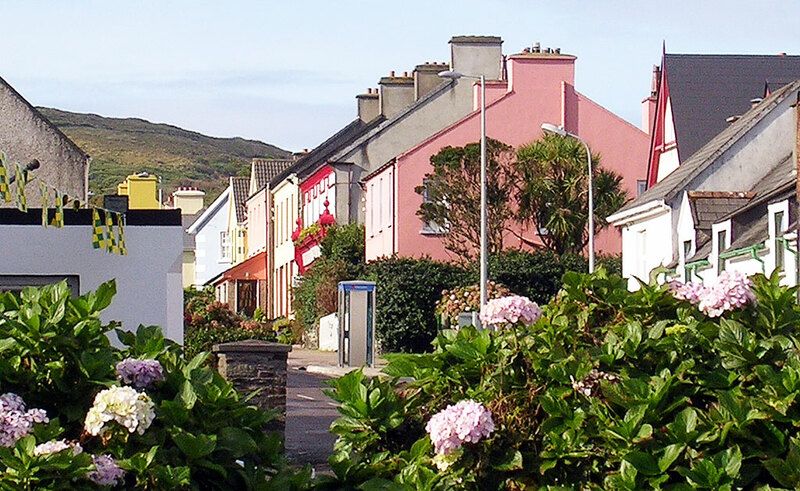 >>Find places to stay in Dingle! This town in the northwest of Ireland in County Donegal is home to the gothic Donegal Castle, built in 1474, as well as beaches, a lake, a harbor, valleys, and rocky shores. 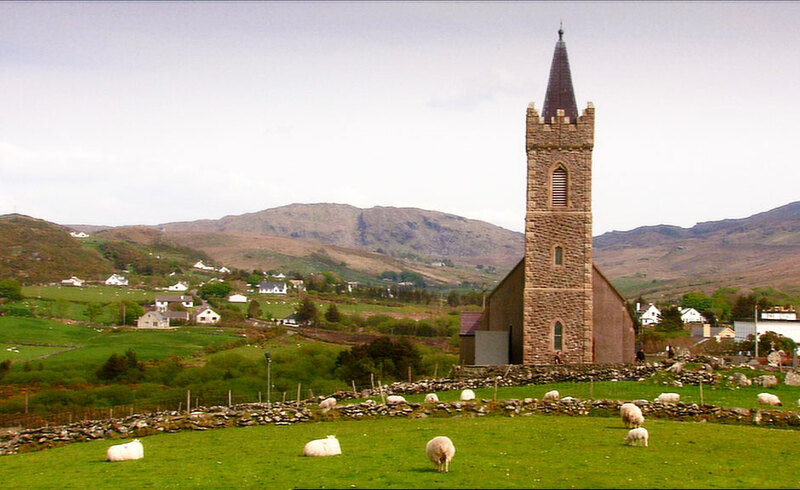 >>Check out B&Bs and hotels in Donegal! Pause for a fun Donegal discovery I made! I recently found out about this store online called The Irish Store. They have home goods, jewelry, food, and clothing. The fashion photos they shot there are beautiful. Anyhow, here’s an example. 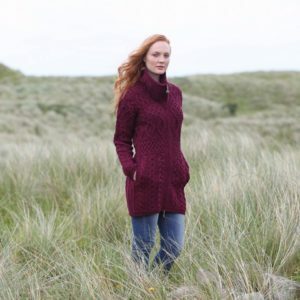 This sweater is handmade using yarn from south Donegal, near the village of Kilcar. When I checked it was on sale for approx. $70 and it only costs about $10 to ship it anywhere in the world. 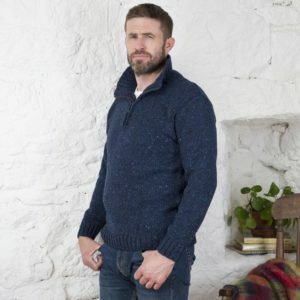 Here’s another sweater crafted in Westport (the last town on this list) in soft merino wool. It’s approx. $129. Had to share! Okay, now back to the towns and villages! In County Wicklow, the town of Enniskerry is situated on the Glencullen River, at the base of Wicklow Mountain. 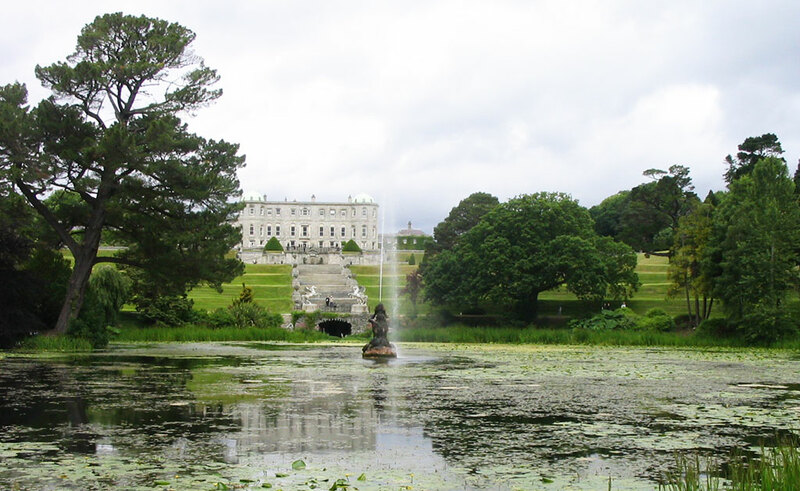 The Powerscourt Estate here includes a large Palladian-style house, a huge waterfall, and 47 acres of gardens. This is also where the five-star Powerscourt Hotel Resort & Spa is (check out my new 2017 review of the hotel!). Many movies have been shot here, including The Count of Monte Cristo. >> Check out hotels and B&Bs in Enniskerry! 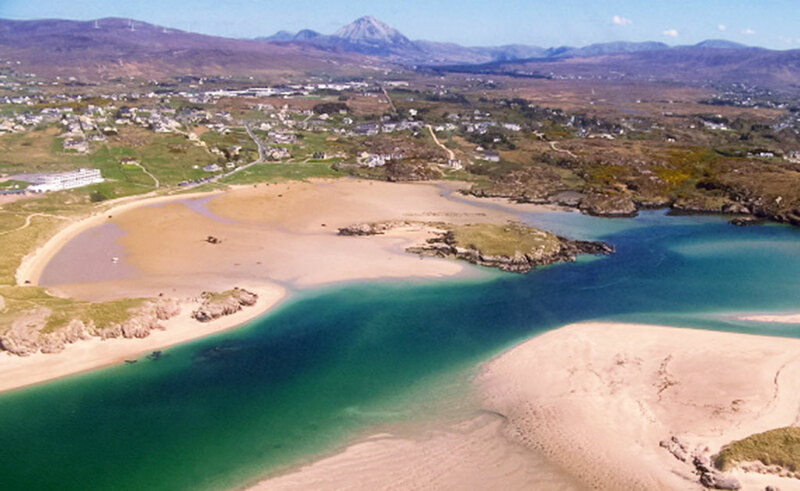 The northwestern town of Gweedore in County Donegal is the largest town in Ireland where the residents speak Gaelic. Picture endless sandy beaches that include a shipwrecked vessel, mountains, and the largest national park in Ireland (Glenveagh National Park and Castle). 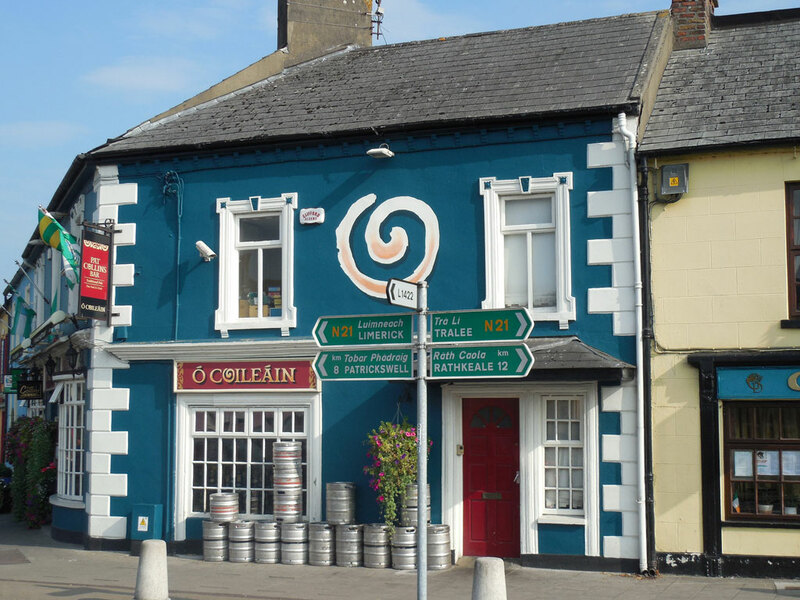 The pub and music scene is very lively—this is where Enya and the band Clannad got their careers started. 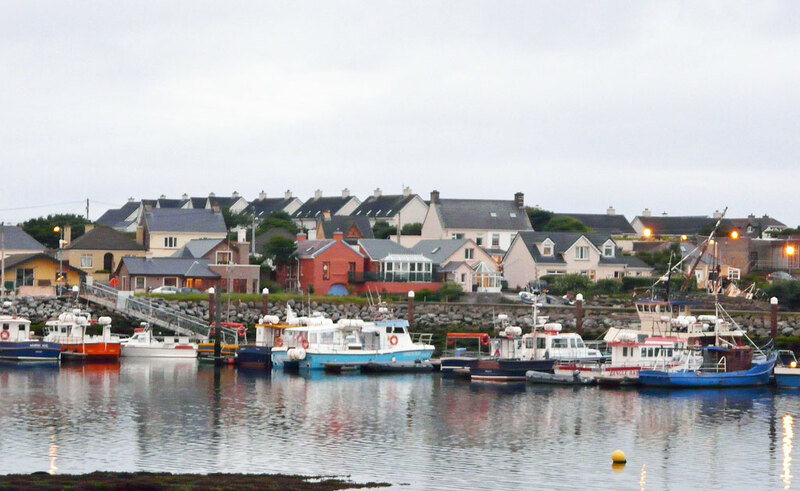 >>Check out hotels and B&Bs in Gweedore! 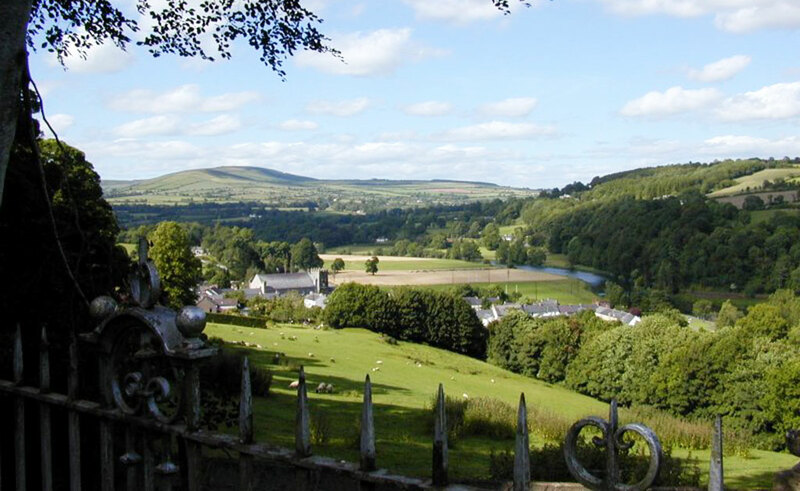 Located in the southeast in County Kilkenny, Inistioge is surrounded by miles of forests and hills. It’s on the River Nore, and counts among its attractions the restored Woodstock Gardens and Arboretum, the pretty tree-lined streets of the village, ruins of the 13th-century Augustinian Priory, and a lovely bridge. >>Check out places to stay in Inistioge! 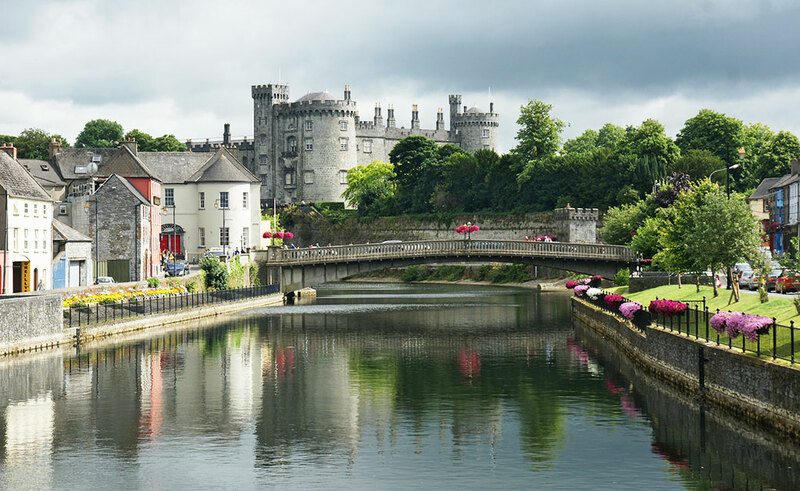 The town of Kilkenny, in County Kilkenny, includes among its attractions the local castle above the River Nore, Medieval Mile, lots of abbeys, and the pretty manor houses. This is a great stopping point as you cross the country. It can be reached by car, bus, and train (and bike!). There are tons of great hotels, B&Bs, restaurants, and pubs. >>NEW: Check out my Ultimate Guide to Kilkenny! The hilly fishing town of Kinsale in County Cork has narrow streets leading down steep hills to the sea. It’s located on the River Brandon and is a major destination for foodies; restaurants abound, as well as galleries and pubs. There’s a historic church (Saint Multose) dating to the year 1190; 16th-century Desmond Castle; and Charles Fort, which offers amazing views of the harbor. In 2014, the town was named the National Large Tourism Town. 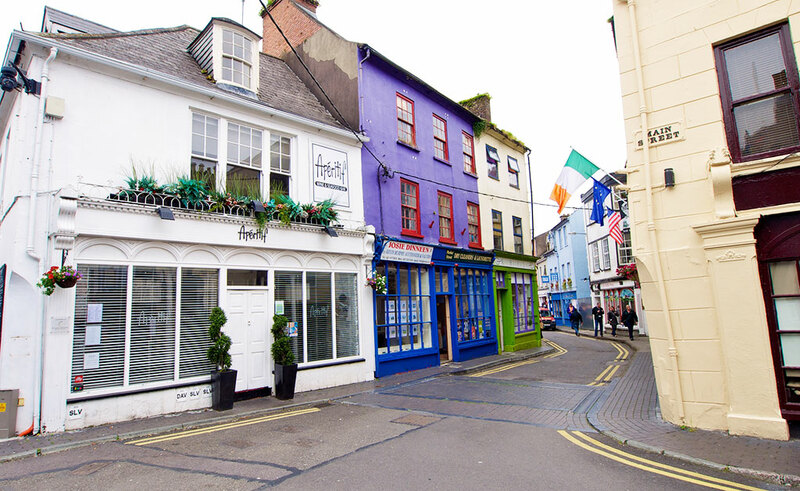 >>Check out B&Bs and hotels in Kinsale! Knightstown is on the island Valentia, which is in County Kerry, in the southwest of Ireland, connected to the mainland by a bridge. In the early 1990s archeologists found fossilized footprints here dating to 385 million years ago! A main attraction is Glanleam House and its subtropical gardens. >>Find places to stay in Knightstown! Lismore is in County Waterford, at the base of the Knockmealdown Mountains. There’s an 800-year-old medieval Lismore Castle on top of a hill, and its famous visitors from the past include Fred Astaire. >>Check out hotels and B&Bs in Lismore! A small fishing town in County Kerry, Portmagee has beaches, a harbor, a heritage trail, and is in close proximity to Skellig Island, where Star Wars: The Force Awakens shot one of its most important scenes. If you’ve seen the movie, remember that rocky island in the middle of nowhere? That’s Skellig. 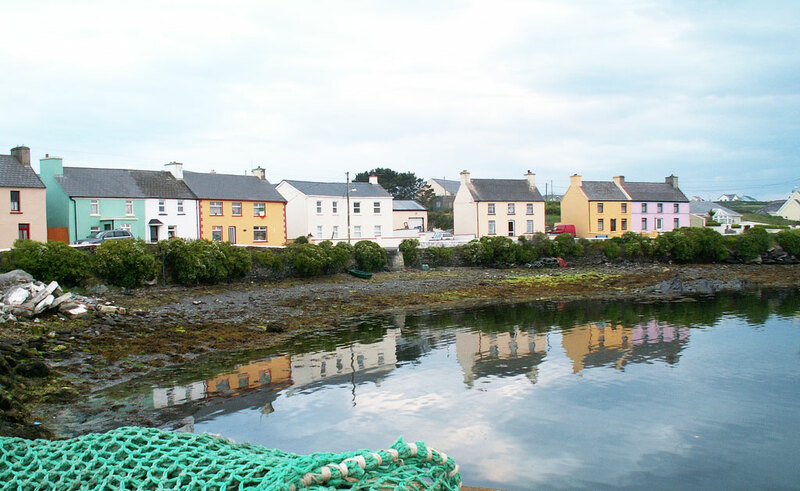 >>Find places to stay in Portmagee! 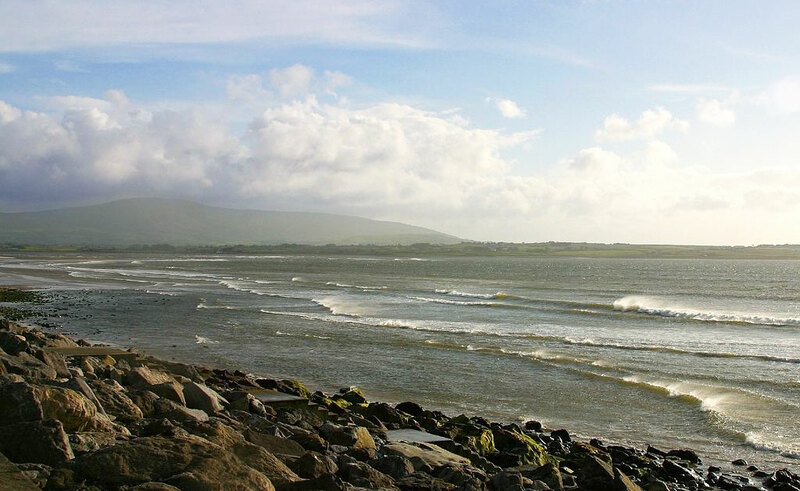 Surfers love Strandhill, a coastal town at the western foot of Knocknarea Mountain in County Sligo. Apart from the gorgeous beach, attractions include the 200-year-old thatched cottages, the huge tombs of Carrowmore, festivals, and a famous golf course. >>Check out hotels and B&Bs in Strandhill! Part of County Mayo, Westport is one of the only planned Ireland towns, designed in the late-18th century. It includes a river, tree-lined streets, bridges, and Westport House, which was built on the site of the old O’Malley Castle. >>Find places to stay in Westport! >>For a great interactive map of Ireland, check out this map from the Irish government. 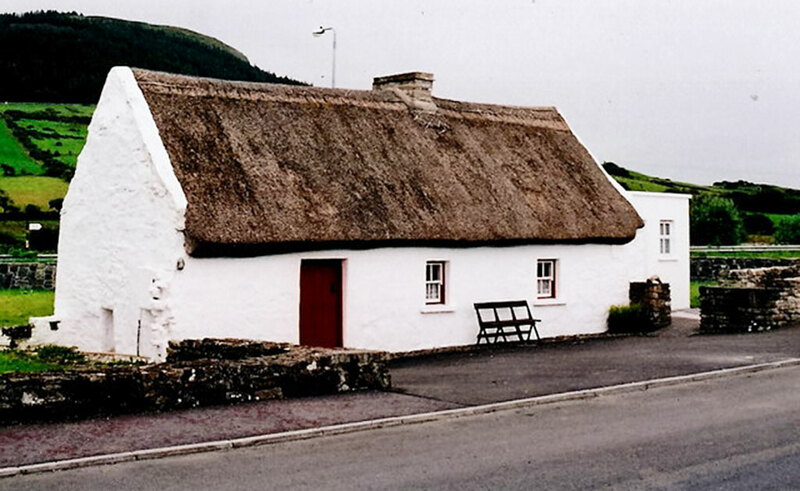 What are your favorite Ireland towns and villages? Please leave a comment.